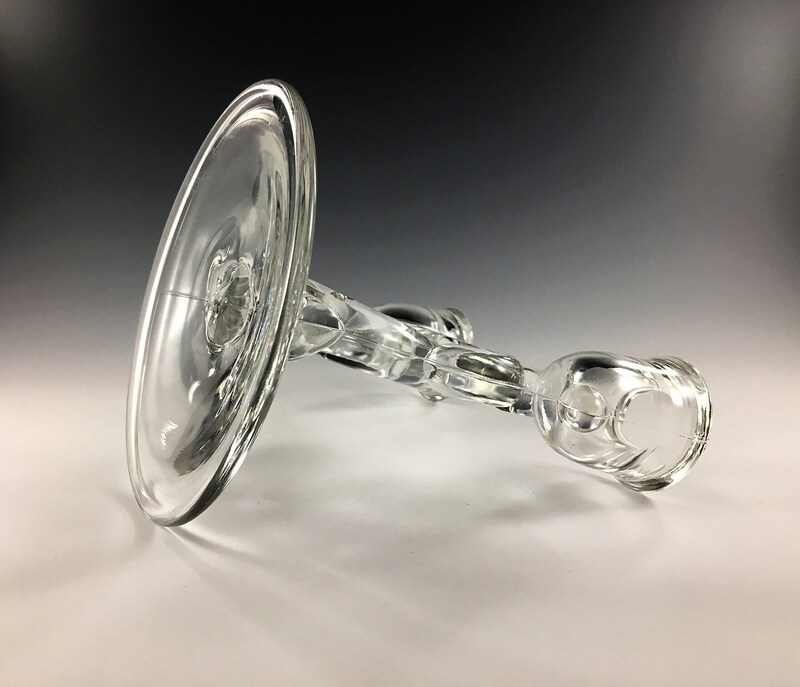 Featured is a beautiful elegant glass two-light candlestick holder. 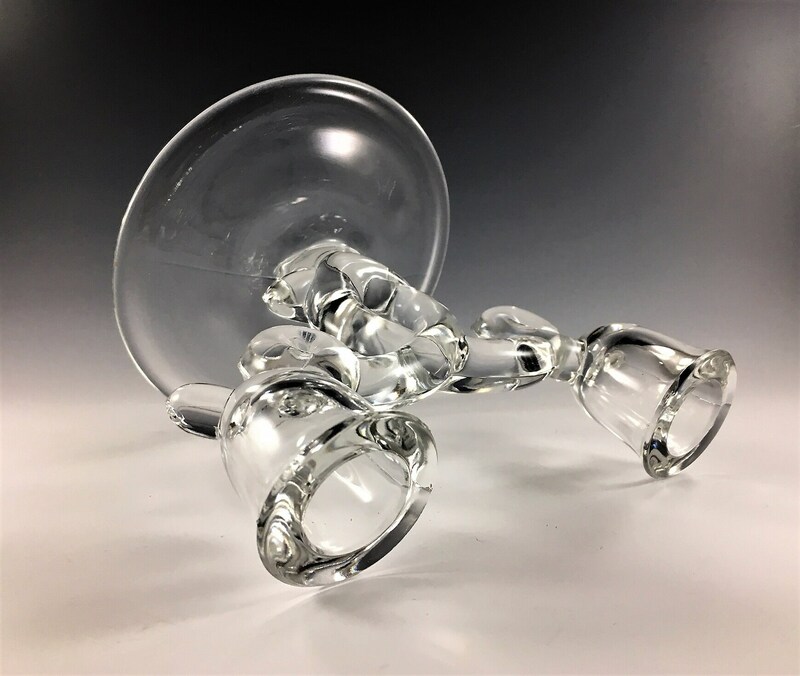 This Mid-Century piece is from Heisey Glass and their Lariat pattern. 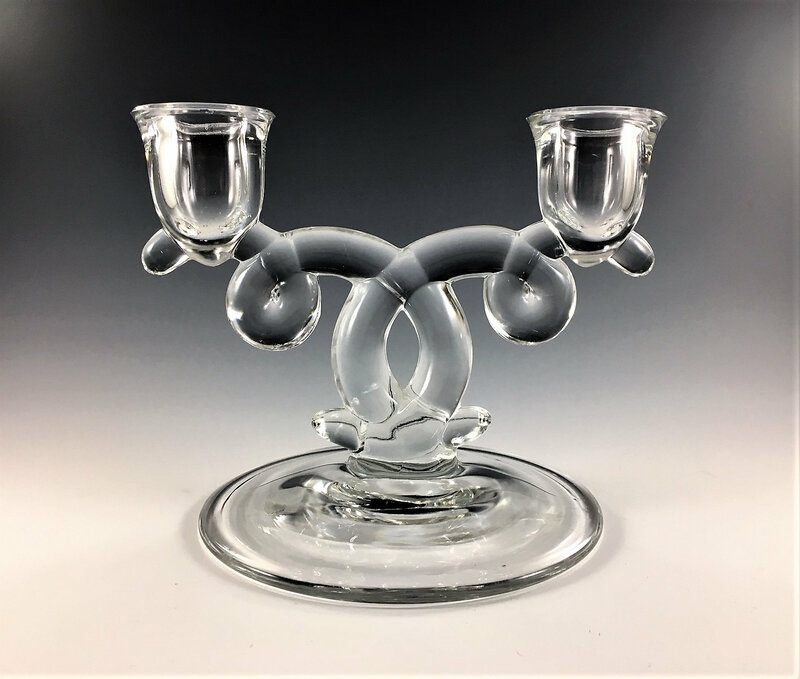 This stunning pattern went into production in 1942 and the candle holder measures about 5 1/4 inches tall and 6 1/2 inches wide. It is in excellent vintage condition, free from any chips or cracks.